If you need to recover photos that have been accidentally deleted from a memory card or USB memory stick, the following details will help ensure the greatest degree of success. is to preserve the current state of it. new files or data to be saved to it. When photos are deleted from the memory card, the data itself is not normally removed. What happens is just that the index record that tells the device controlling the storage of files and data on the card is deleted. This means it now has no current record details of the deleted pictures on the memory card. It also means that the space where the deleted photos were stored on the memory card can now be used by the device for storing new pictures. You can recover deleted photos from a memory card in the much the same way you can on a PC, and often with more success because there may have been no new files saved to the card in the meantime. Whereas a computer stores data on a moving disk drive, memory card devices store the data on a small chip inside. However, a camera memory card is similar to a disk drive in the way that files (the digital picture images) are stored and retrieved from it, and in what happens when memory card pictures are deleted. As a result, the same principles apply if you need to recover photos or movie files that have been deleted from a memory card. In order to have the best chance of being able to recover the deleted photos successfully, avoid doing anything with the device that increases the likelihood of new files and data being written to the memory card. 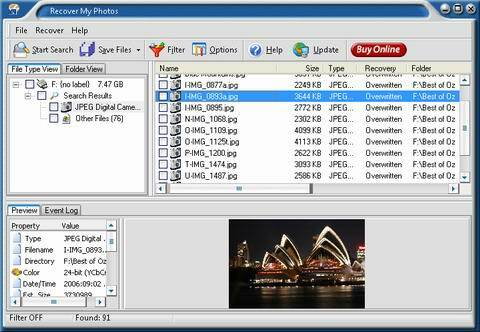 The quickest way to discover if the deleted pictures are still on the memory card or USB memory stick is to download and install a good quality photo recovery product to your PC. Then plug the memory card into the card slot or an attached card reader (likewise for a memory stick plug it into a USB port) and set the photo recovery software scanning the device to look for deleted files. 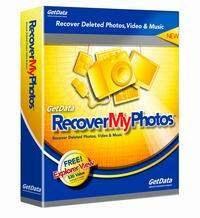 Please click here for the full procedure for using photo recovery software to recover your deleted photos. I encountered the problem of missing the important photos from my SD Card, due no known reason. When I inserted the card in the slot on my Laptop, the antivirus software ran automatic scanning and discovered lots of threats. The consequences, I couldn’t see or locate the JPEG files. Before I could stop the antivirus scan, the number of displayed files decreased to one and I was left wondering. My question is, how can I know that no new files are created meanwhile (as I didn’t create any file on my own)? I’d recommend you submit that directly to tech support (click here and then click the Support tab at the top of the page) to see what they say.